(10:28:33)turingbook与所有人说:Could Kent provide some success stories of XP? (10:31:02)turingbook与所有人说:Is the talk still going on? I have no voice. (10:43:31)期待 and 期待_292与所有人说:Large-scale ideas is providing purpose, however ..
(10:43:43)期待 and 期待_292与所有人说:it also can bring too much arguement among the team to get the agreement. (10:43:51)pinxue与所有人说:Hi Kent, may you give some words for c3 project? (10:43:56)期待 and 期待_292与所有人说:Do you have the experience to handle this? (10:44:05)pinxue与所有人说:how we can trust a methodology burned from a failed project? (10:44:12)pinxue与所有人说:It is real a discourage! (10:47:39)taito与所有人说:Mr.kent Do you have a msn? (10:50:07)*umlchina2与*xjmen说:Kent is talking about a project using XP. (11:25:21)*xjmen与所有人说:his teammates, the project, or other aspects ? (11:29:47)caohe1与所有人说:he's answer the question of *xjmen? (11:35:23)*rui0354与所有人说:Is the teacher in beijing? (11:37:37)*umlchina2与liuypman说:Happy with whom? me or Prefessor Beck? (11:38:37)*rui0354与所有人说:Can you describe the software development process in a USA company? (11:40:47)*Brian泡泡与[*umlchina_seminar]说:Someone think about that less design will produce more unuseful test cases. (11:40:57)*Brian泡泡与[*umlchina_seminar]说:What do you think about, Professor Beck? 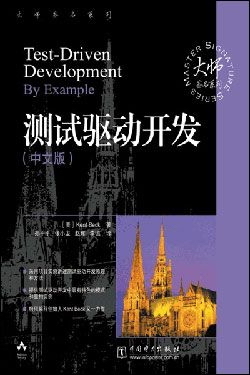 (11:42:13)*Brian泡泡与[*umlchina_seminar]说:I mean what is the relationship between software design and TDD? (11:43:37)*umlchina2与*kentbeck说:You have never been in China. Do you have plan to come? (11:46:03)*rui0354与*kentbeck说:What's your general impression about IT industry in china? (11:49:31)*rui0354与*kentbeck说:Do you use msn messenger? (11:49:35)*Brian泡泡与*kentbeck说:Dose Eclipse Platform have a plan to move to .NET, or is there a way? (11:50:44)*umlchina2与taito说:Kent does not write blog. (11:51:25)snowwolf与*kentbeck说:If I only apply some aspects of XPin our projects, can it works well? (11:53:08)*Brian泡泡与*kentbeck说:Are you still coding these years? (11:55:03)*jackyjacky2005与所有人说:do u think a team leader should be in charge of some coding job in a project? (11:56:20)xdingding与所有人说:how to TDD with UML? (11:57:51)*umlchina2与xdingding说:You have the last question. (11:58:18)mountain与*kentbeck说:Do you send a example to me? (11:59:56)mountain与*kentbeck说:I hope meet you next time.